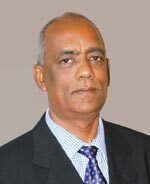 The paradise island of Mauritius, through its Professional Association of Freight Forwarders, has bid to host the 2019 meeting of region Africa and Middle East (RAME) of FIATA, the International Federation of Freight Forwarders Associations. For centuries, the Dutch, English and French sailors used to stop over here while pursuing their trade route to or from India. The navigators considered our island as the star and key of the Indian Ocean due to its strategic position. Later, Mark Twain, author of the American literary classic The Adventures of Tom Sawyer, visited our country in 1896 and wrote that you gather idea that Mauritius was made first, and then heaven; and that heaven was copied after Mauritius. The A. P. Moller – Maersk Group to which the shipping company Maersk belongs, achieved a 43% growth in its turnover from 2016 to last year. In 2018, its turnover amounted to 39 billion US dollars. Analysts attribute this financial performance to the integrated service offerings following the acquisition of the shipping company Hamburg Sud, increasing digitalisation and improvements in its networks. The A.P. Moller-Maersk Group has a diversified portfolio ranging from oil drilling to energy-related businesses, port terminal management services to the transportation of containers on its vessels. Profitability during the year 2018 reached 3.8 billion US dollars (earnings before interest, tax, depreciation and amortization), an 8% increase compared to year 2017. Concerning the ocean segment, revenues increased by 29% last year to attain 28.4 billion US dollars.